A JSO officer walks by the Chicago Pizza & Sports Grille and GLHF Game Bar. 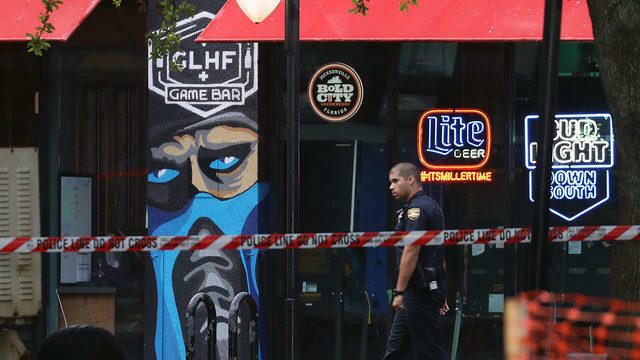 The owner of Chicago Pizza & Sports Grille and GLHF Game Bar, where a mass shooting occurred Sunday at The Jacksonville Landing, is speaking out. “As we grieve with those who were impacted by this tragic incident, we would like to thank the Jacksonville Sheriff’s Office, the Jacksonville Fire and Rescue Department and all local law enforcement and first responders who acted promptly to contain the situation. Their heroic acts of bravery prevented this incident from further escalation,” said owner Cliff Comastro in a statement Wednesday. The tragedy left three dead, including the gunman, who took his own life. Ten others were shot and survived. 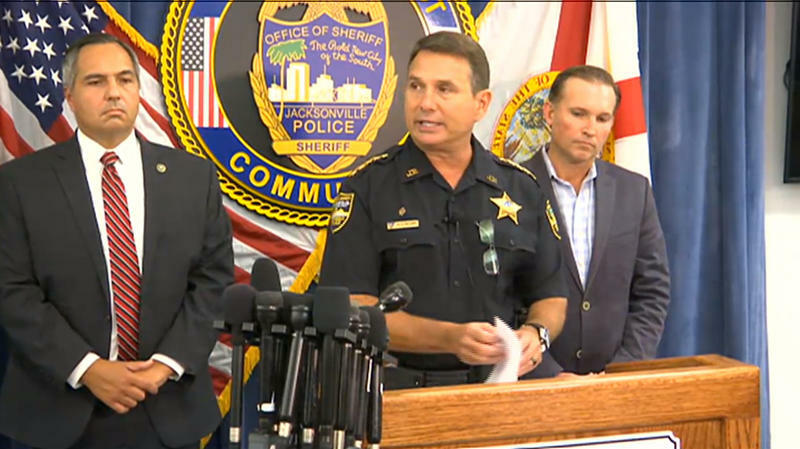 “Our hearts are broken, but together, we hope to begin the healing process as a community here in Jacksonville,” Comastro added. The mass shooting occurred inside Comastro’s GLHF Game Bar at the Landing. The Landing reopened Tuesday but Chicago Pizza & Sports Grille and GLHF Game Bar remains closed. Comastro didn’t address when or if his business would reopen in his statement. WJCT News reached out for clarification and was told that "there is no timeline for reopening as of right now." Comastro’s game bar opened in 2016, becoming a hub for local video gaming fans and players, according to our Florida Times-Union news partner. The gunman, 24-year-old David Katz, a gamer from Baltimore, opened fire inside the game bar Sunday as fellow competitors were playing in a "Madden NFL 19" tournament. EA Sports announced it has cancelled the upcoming Madden Classic qualifiers. “We need the time to review with our partners, internal teams, and the Madden community our best paths forward,” said EA Sports Competitive Gaming Division Commissioner Matt Marcou in a statement. 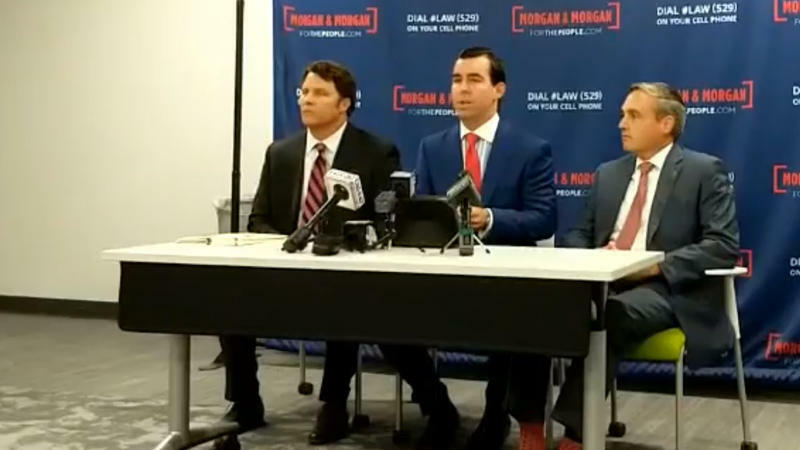 The Morgan and Morgan law firm on Tuesday announced it's planning to file a suit this week on behalf of several victims harmed in Sunday’s shooting. Morgan & Morgan did not specify who their clients would be suing.